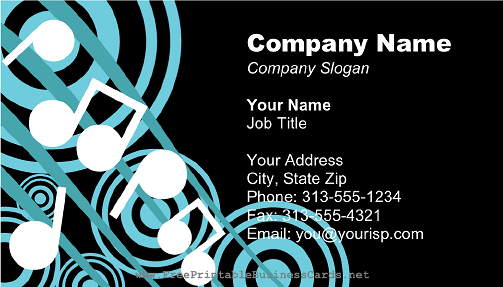 This printable business card shows large quarter-notes and eighth notes on a musical staff. It's great for musicians, DJs, or any entertainers, music teachers, or nightclubs. It has a black and blue background.